If you’ve been looking into writing content for your business, or you want to hire someone to do it for you, you’ve probably also been hearing a lot about keywords. You need those, right? They should be long-tail, sometimes? They shouldn’t be too generic, yes? 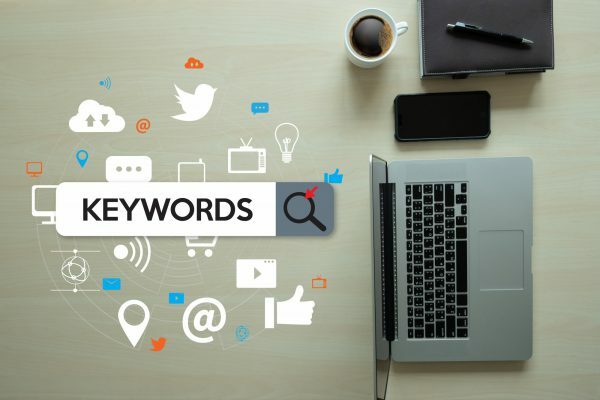 There are a million questions to ask about keywords, and there are even some conflicting opinions and strategies about how to use them. But two things are certain: (1) you can’t “keyword stuff” and get anywhere, like you could in the past, and (2) you need the right ways to search for keywords for your content, so you can use the ones that bring in the most customers and make the most sense. So you not only need good keywords as they relate to your product, you also need to know what your customers are searching for. Then you can use those keywords, too. So how do you find all that out? We’re here to help you with that. Go to your competitors’ websites and look at the kinds of content they’re putting out into the world. It should read well, but it should also offer keywords that you can use. If they mention their location in the text, for example, that’s something to take note of. When people are searching for you they aren’t just looking for the type of business you have, they’re also looking “near me,” or in the city/state where they’re located. Your competitors (should) know that, and so they’re adding those kinds of things to their content. You should be doing the same, for maximum effectiveness. When you go to your favorite search engine and search for the kinds of things your company does, do you appear in the top couple of search results? No? You want to! If you’re not showing up as the top or nearly top search result for what you do, then it’s definitely time to make some changes. Even if your company is the greatest place to buy something, and has the nicest people working there, it’s not going to matter if your customers can’t find you. So, really, what are the best ways of searching keywords for your content? Getting professionals to handle the job for you, of course! If you’re not sure what keywords to use, and you don’t want to spend a lot of time trying to get it right, you don’t have to worry about that anymore. With the WA Keyword Planner tool, you can put in information about what you do and what you want to provide to your customers. Then you’ll get information on the keywords you should be using. They’re suggestions, and you don’t have to use them all. But they’ll get you a lot closer to the information your customers are looking for, and get you found in more searches by more of the people in your target market. It’s not a requirement to use the Keyword Planner when you hire a WA writer, but there’s no reason not to take advantage of all the great options that are offered to you. When you choose to use the planner for your keywords, you’ll no longer need to worry about whether you’re saying what your customers need to hear. And our writers know not to stuff keywords into the copy. The keywords you choose will be used just a few times each, so they show up and help you get noticed, but they don’t cause you any problems in the search engine rankings. It’s a great tool for you to advance your business. Not all writers are experts in SEO, but many of them know an awful lot about the kinds of keywords that get companies noticed. You can use the Keyword Planner and then work with your chosen writer, or team of writers, to develop a list of the keywords that you want used in the content. You’ll get quality work, a collaborative experience, and the peace of mind that comes with knowing your content is going to help you get found online. You don’t want to waste your advertising budget, so having the right keywords in a must in today’s competitive online world. We can help give you the tools and the content you’ll need to be a big part of that competition. It’s the best way to search keywords for your content, so you can get back to all the other things you need to do, to make your business run.